How Can a Person with Multiple Sclerosis Benefit from Home Care? 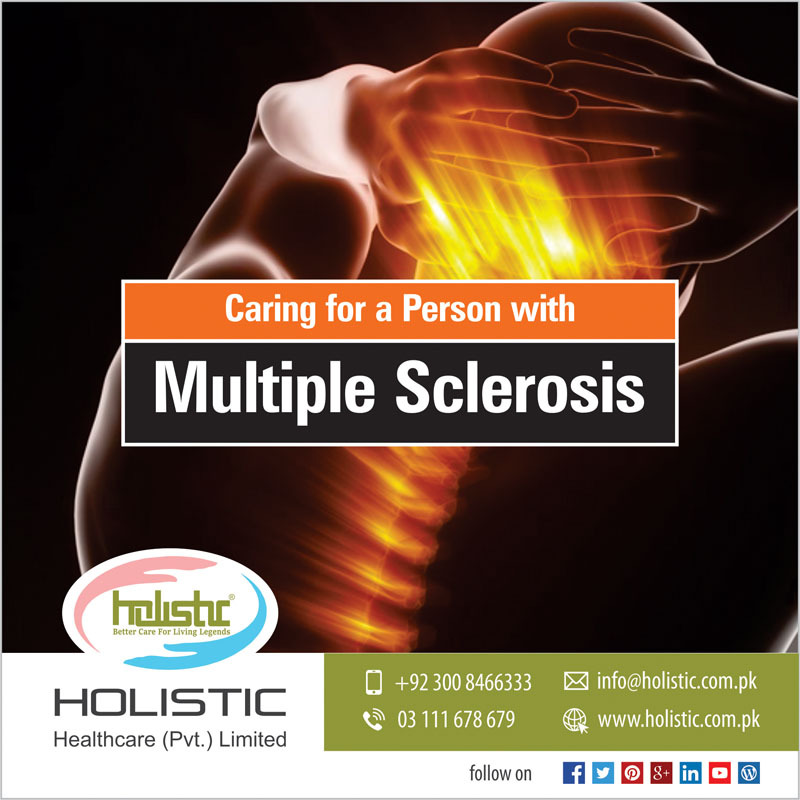 Multiple sclerosis (MS) is a disease in which the myelin sheath covering of nerve cells in the brain and spinal cord is damaged, which disrupts the ability of parts of the nervous system to communicate. Signs and symptoms of MS include physical, mental, and sometimes psychiatric problems whereas, some of the specific symptoms may include double vision, blurry vision, blindness in one eye, muscle weakness, trouble with sensation, or trouble with coordination. Its symptoms either occur in isolated attacks or progressive forms and between these attacks, sometimes symptoms may disappear completely; however, permanent neurological problems often remain. Therefore, a long-term outcome is difficult to predict. The cause of MS is not clear, whereas it is thought to be caused either by the destruction of the immune system or failure of the myelin-producing cells. Proposed causes for this include genetics and environmental factors such as being triggered by a viral infection. Multiple Sclerosis has no known cure and treatments given may improve the function of the body part affected after an attack and prevent new attacks. Multiple sclerosis is also one of the most common immune-mediated disorders affecting the central nervous system of the human body. For more information on this debilitating disease, visit the website for the Society for Multiple Sclerosis Patients in Pakistan (SMSPP). One of the foremost benefits of home care for MS patients it provides proper medication reminders, assistance, and administration. It keeps tracks of the medicines routines, medical test follow-ups, and check-ups which outcomes in the betterment of the MS patient to regain his confidence and energy. Home care also promotes mobility through physical therapy and enhances independence with activities of daily living through occupational therapy as well. Likewise, home care also maintains effective speech and swallowing through speech-language pathology treatments if possible. Home care also attends to problems of elimination, such as catheter management, bowel management, and other relating problems. Sometimes, the need for home care can be temporary and at other times, it may be for a longer term until an individual regains their strength back. Home care may help with daily chores, housework, laundry, and meal preparation. Likewise, sometimes an individual may need a home health aide or personal care assistant to help with showering and getting dressed depending on which part of the body MS attacked and how much it affected. MS home care must be supportive of all the situations as it is such an unpredictable disease that anything can happen at any time and if the caregiver is not flexible enough to understand the whole situation, the patient might get more stressed which can further complicate things. Getting along with the caregiver is also important to get the best possible outcome. Despite having huge family support, it is always good to have someone else care for an MS patient in your family if you have the resources. Self-Home care for a loved one can be exhausting and emotionally draining, but choosing the right home care from outside can be just like being independent for the MS patient. If you need a professional caregiver to take care of a loved one with MS at your home, give us a call at 0300 8466333 right away. We have trained and experienced nurses and caregivers at Holistic Healthcare (Pvt.) Limited to take care of your loved one in the comfort of your home. We provide services in Lahore, Faisalabad, Islamabad, and surrounding areas. Wound Healing Tips For Nurses and Healthcare ProvidersHow can Physiotherapy Help after Hip Fracture Surgery?